A powerful SEO Toolbar for Firefox was released 2 days ago by Aaron Wall. Once installed in your firefox browser you will have access to tons of SEO relevant informtion about any site you visit. You can easily turn it on and off with a click of your mouse, thus making it easy to turn it on fast whenever you want to SEO-analyze a competing web site or when you’re researching a new market. 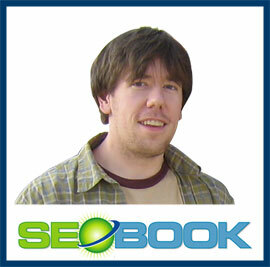 SEO tools from Aaron Wall’s site http://www.seobook.com. Site specific information from major search engines and directories, like google, yahoo, dmoz and others. Site specific information using a dozen services like Alexa.com, compete.com, domaintools.com and many more. Roundabout 50 Newsfeeds from SEO authority sites. Analyze how many back links a page and its domain have in search engines and directories. See how many people are subscribed to a blog via bloglines. Analyze keyword density for a page. See google page rank and Alexa rank. Get domain age and whois information. Read the latest SEO news headlines from SEO expert sites in a drop down menu. Compare SEO information for up to 5 web sites. See site popularity on social bookmarking sites. Besides Roboform this is definitely the most important toolbar you can add to your firefox. Previous article: What is a Long-Tail Keyword Phrase? And Why Should You Care?